GEO Radius Search 2.6 is a user-driven feature release and as you may know, the GEO Radius Search extension is used on the new Joomla Resources directory http://resources.joomla.org. Since there is an option for companies with more than one business ran from the same office to be able to have more than one listing, we needed to find a way to allow for this where the map pins would not overlap each other. We found a way to "Spider" these where the pins would be offset and a thin line would offset these locations so you could select either pin. We also had some requests for parameters such as map height so you can set the height if you want to have a larger full screen view of the map and a number of rows to filter lists. One of our recent client redesign projects, www.prolinkhq.com, needed to calculate and display the distance of distributors from a user's location or zip code. While there is no way to achieve exact distances, we were able to get a very close proximity based on distances from zip code regions and the browser location when a user approves this option. You will now find a great new radius distance option for the results area. When this feature is enabled, the radius engine will calculate and display distance from the input parameters in the results pagination. Seeing some of the many neat tricks applied in responsive templates and on social networks, we also thought of enabling toggle between paginated results and "Infinite scroll" like when viewing your friends on FB, tweets on Twitter and contacts on LinkedIn. On a related note, the CNP Integrations and GEO Radius Search team participated and sponsored the Joomla Day Brazil this year in Sao Paulo. We met a lot of new friends and with all of the exciting activity with Joomla in Brazil and other Latin American countries, we felt it important to offer new language packages for Portuguese and Spanish. Meeting the needs of a global community is an exciting opportunity for us and Joomla as a whole so we hope to offer more language packages in the near future. As we embarked on responding to these and many other client requests, you will find in this 2.6 release that we discovered several things we can do in the future to improve the user interface on the back-end and perhaps, to also take better advantage of some recent improvements in the Google Maps v4 API. While we would've loved to take these on in this release as well, we felt it better to step back and wait until we could include updates to our documentation and video tutorials at the same time in a future release. For the reason that support for any extension can be a challenge because as with other extensions used in the same portals as ours, Joomla is constantly changing. Sometimes it's difficult to keep up with limited time resources. When we are spending our time in tickets we are not responding to building new features. Our last release was well-tested and had only a few small bugs that we have fixed in this latest release. However, we did notice two distinct types of tickets that would come in over the past few months. Many tickets were related to configuration and explaining how to use some of the features properly or to achieve unique solutions. To address this, we will be making documentation a significant priority in our next release. 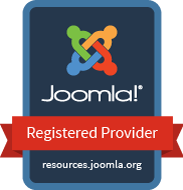 Almost all of the technical tickets were related to site owners not having Joomla, ZOO or Zoolanders Framework up-to-date. Additionally, we have added detection scripts for versions of ZOO and Zoolanders. This can help you determine if there are upgrades you should do prior to contacting support. We may add more detection tools and testing scripts to further assist you in the future.